We see again and again how catalog are a window to an America captured at a specific moment in time: products, fads, trends, and styles that represent their era in contrast to the present day. Auto parts, boats, harnesses, hats, irons, ladders, lamps, linoleum, mens clothes, shoes, soap, washing machines – and more. 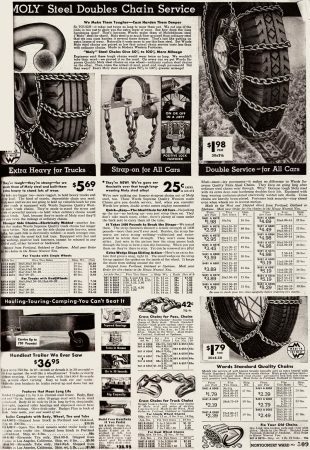 Items as different as lingerie from auto tires. 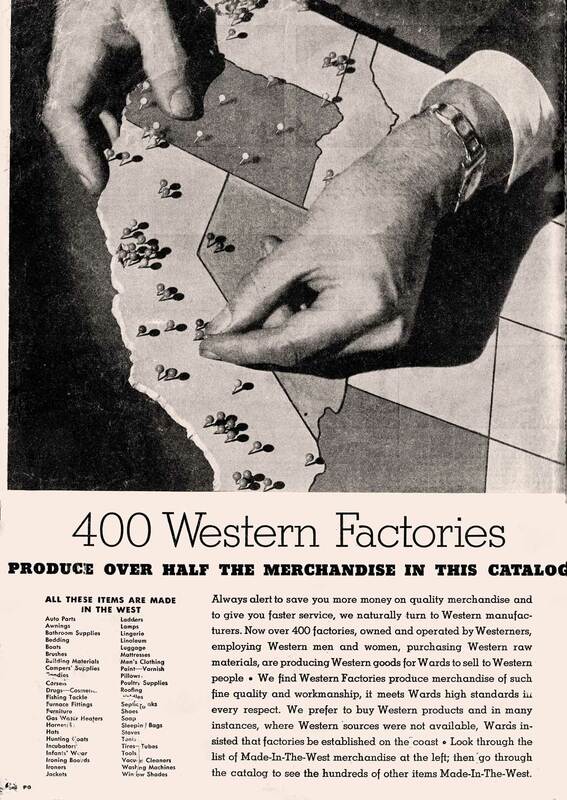 This is a snapshot of America in 1936 – a great manufacturing powerhouse of a country. How many of these items, one wonders, are still made in America – in “Modern Western Factories” or anywhere else – in the 21st century? Now our tires are chained to China and our commerce is linked across the world. Previous Previous post: Get Me Clark Kent!